Dhaka, April 16: After nearly 10 days of confusion, the row over the Shab-e-Barat 2019 dates in Bangladesh has ended. The Ministry of Religious Affairs, in consultation with the National Moon Sighting Committee, has agreed to observe the night of April 21 as Nisf-e-Shaban or the middle of Shabaan when practicing Muslims pray throughout the night and visit graveyard. The festival is observed on the 15th night of the Islamic month of Shabaan. On April 6, the moon sighting committee in Bangladesh said the crescent moon has not been seen, thus pushing the date of observance to April 21. 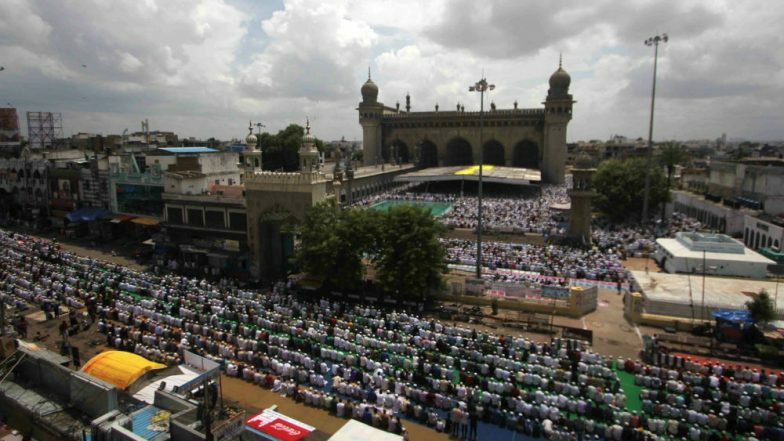 Shab-e-Barat 2019: Date in India, Significance And Other Key Facts to Know. In neighbouring India and Pakistan, however, the crescent was spotted, with an announcement being made by the respective Hilal Committees fixing the night of April 20 as Shab-e-Barat. Subsequently, a group of Muslims in Bangladesh, under the aegis of Islamic Foundation, claimed to have spotted the crescent on April 6. As per the sharia or Islamic law, they are duty bound to record their statement of spotting the crescent by personally appearing before the designated authorities. The claims being made on phone or internet is not accepted. The Moon Sighting Committee had convened on Monday, and had issued calls to the members of the said Foundation to appear before the panel and record their testaments. However, no member of the group turned up, thereby, forcing the authorities to announce that the earlier date of Shab-e-Barat remains unchanged.